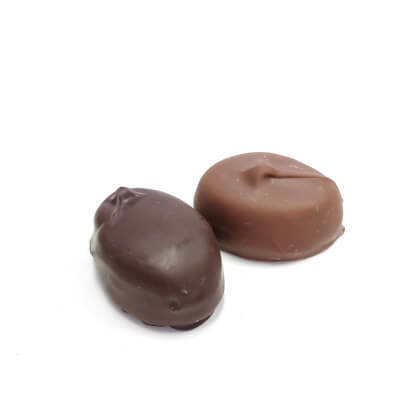 Gourmet Vermont maple cream covered in milk or dark chocolate. Approx. 12 pieces per half pound. Pearls .5 lb box. I could not stop eating these dark chocolate maple creams. They are truly delicious and I just ordered 2 more boxes. Love me some maple candy. Thanks for making them.